Ranked among the nation's best children's hospitals, Children's Mercy Hospitals and Clinics were the first in Kansas or Missouri to receive the prestigious Magnet designation for excellence in patient care from the American Nurses Credentialing Center. Their comprehensive pediatric medical center provides state-of-the-art care from birth to age 18, as medical researchers come ready each day to continue their work on developing treatments and cures for tomorrow. In addition to other services, their website provides many helpful resources including: an "A-Z Health Library", a "Healthy Kids Column", and information on "Safety and Prevention". For more information please click on their logo below. SafeKids.org Safe Kids USA is a nationwide network of organizations aimed at preventing unintentional childhood injury. Health and safety experts, educators, corporations, foundations, governments and volunteers have all joined together to help educate families about child safety and injury prevention. Safe Kids USA is also a leading advocate when it comes to lobbying for better laws when it comes to keeping children safe. Their website provides many different resources for parents, educators, and safety professionals alike. For more information please click on their logo below. 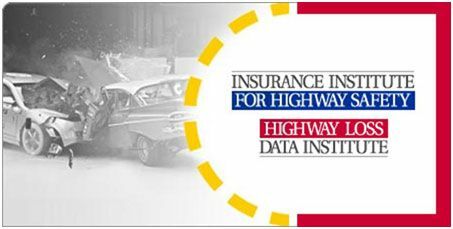 Insurance Institute for Highway Safety Self-described as "an independent nonprofit, scientific, and educational organization," the Insurance Institute for Highway Safety is dedicated to reducing the number of accidents on our nation's highways that result in death and injuries each year. Their website provides a variety of vehicle and road safety information to help drivers make informed decisions to keep themselves and their passengers safe, including: vehicle ratings, news, consumer brochures and videos, research and stats, as well as information about laws and regulations. One of the more frequently asked questions we hear from parents and other childcare providers is, "How do I keep my child safe in the car?" Improper restraint during an automobile accident can have devastating consequences for young passengers - serious childhood injury or even death can result. Child passenger restraint regulations vary from state to state, so it is important that you understand the laws in your state before transporting any children in your vehicle. For detailed information about the laws in any of the fifty states, please click on their logo below to continue on to their website. Children's Safety Network Working in conjunction with state, territorial and community Maternal & Child Health and Injury & Violence prevention programs, Children's Safety Network is a nationwide resource center dedicated to child safety and injury prevention. Their mission is to help create an environment where all children are safe, happy, and healthy, which they are able to do by working with states and territories to "infuse knowledge, expertise, and leadership to reduce injury, hospitalization, disability and death for all children and youth." For more information about the integral work done by the Children's Safety Network in order to keep children safe and free from harm, please visit their website by clicking on the image below. Centers for Disease Control and Prevention (CDC) A major operating component of the U.S. government's Department of Health and Human Services, the CDC's mission is to protect the health of not just our nation's people, but the health and wellness of individuals and communities throughout the world. As a collaborative organization, the CDC emphasizes health promotion, the prevention of injury, disease, and disability, as well as preparedness for new health threats. "Your Online Source for Credible Health Information," their website houses an abundance of useful information related to child safety and injury prevention, among other things. For more information, please click on the image below.